Cirebon is one of the oldest towns in West Java, Indonesia. It is located on the north Coast of Java Island. At first, Cirebon was founded by Ki Gedeng Tapa and it was given the name Caruban after it had transformed into a crowded village. In Cirebon dialect, Caruban means unity. The name Caruban was suitable for the small village because a lot of Javanese, Sudanese, Arabic and Chinese merchants ran their businesses there. Then, the name Caruban was changed to Carbon and then Cerbon. Nowadays, it is a strategic and crowded town and people call it Cirebon. Besides fascinating cultures and delicious foods, it has a lot of mystery stories and one of the mystical locations is Plagon. Plagon is a well-known tourist attraction of high historical value. However, there live a great number of monkeys and the population has unceasingly increased. It is said that the monkeys living at Plangon are the incarnation of the people who begged for riches and worshipped the monkey king. People also believe that the monkeys will live forever because they had been cursed while they were praying for wealth. It’s the sin which sticks on them till the end of the world. According to the folklore, the monkey king will be very angry if human beings damage or destroy the peace of his community. 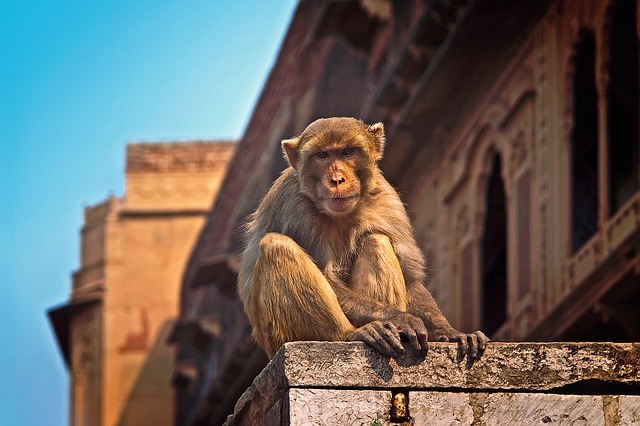 The court of the monkey kingdom will carry out death penalty for those who ruin their residence as soon as possible. According to the witness, a visitor took a baby monkey home and then he returned it the next day. The visitor said all his family members fell sick after he took the baby monkey home. Some ignorant guys who caused damage to the environment were severely attacked by a troop of monkeys. After a few days in the hospital, all the guys who were seriously wounded passed away. Those who dare to disturb the monkeys will end up in death. It is also said that a young couple who had romantic relationship at that place couldn’t be separated and were taken to hospital by the locals, but the doctors were unable to save them. While you’re driving near that location, you will see a sharp bend in the road. A lot of accidents happened as they were the sacrifice rituals of the monkey djinns. It is also believed that the sharp bend is the spot where the evil spirits hang out. A big evil snakes often crosses the road and disturbs the driver surprisingly. You should be very careful and keep calm while you’re driving. A motorcyclist passed there and was stopped by a woman who needed help. Then, the motorcyclist took her to the destination. However, the woman sitting behind him suddenly disappeared. Goosebumps rose over his whole body and he rolled on the throttle with all his fear. The engine of the motorbike roared angrily, leaving the place like a mad horse. Ordinary people see the monkeys as wild animals. But the psychics claim that some of these monkeys are evil spirits and some ordinary ones are the pets belong to Prince Panjunan. The Monkey Empire is divided in three territories and there won’t be any conflicts among them. Each territory has the leader of the troop.